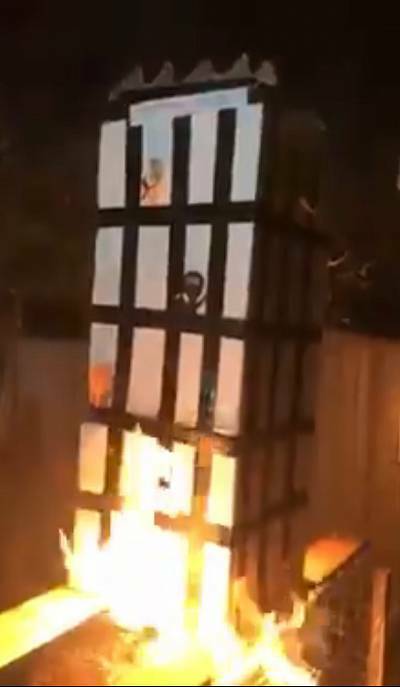 Five people were arrested in London on Monday after a video posted on social media showed a group burning an effigy of Grenfell Tower, the public housing block where 72 people died in a massive blaze in 2017. In a statement, London's Metropolitan Police said five men, ages 19 to 55, were being held on suspicion of a public order offense after they turned themselves in to a south London police station. The men were not identified and additional details were not immediately available. In the video, several people appear to be gathered around a model of the tower. After it's set alight, the group can be heard chuckling and cracking jokes. "Help me, help me," someone can be heard saying at one point. On Twitter, British Prime Minister Theresa May called the video "utterly unacceptable." Stuart Cundy, the Metropolitan Police commander leading an investigation into the fire, said it was "crude" and "vile" in a statement. "I can't imagine the distress this video will undoubtedly cause to bereaved families and survivors," he said. 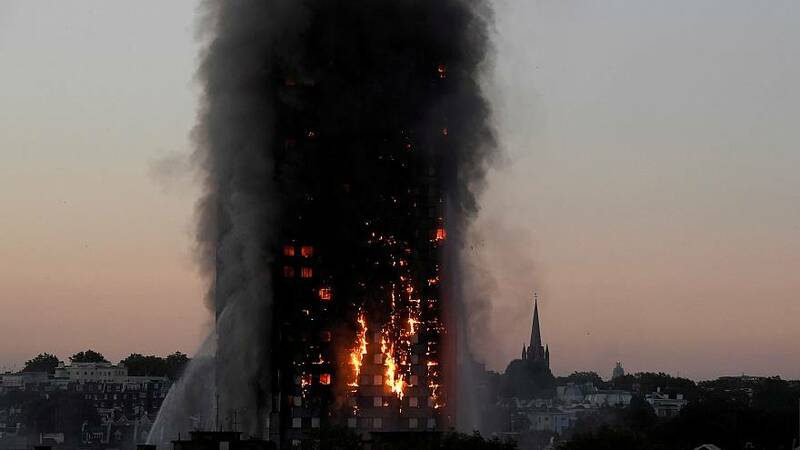 The fire, which ignited on the night of June 14, 2017, marked Britain's deadliest domestic blaze since World War II and became a symbol of the area's stark inequality. Police investigators completed a forensic investigation of the tower in August, collecting evidence and examining its construction and maintenance systems. It's still unclear what caused the fire, though safety experts have told a public inquiry that combustible external cladding helped the fire to quickly spread.